Derek Rose Trunk model Jack in navy for men is finished with..
Derek Rose Trunk model Jack in white for men is finished wit..
Derek Rose V-neck T-shirt model Jack in white is made from a..
Men's underwear that fits well is extremely important. Everyone has a personal preference for underwear. One likes to wear loose boxer shorts, the other prefers tight boxers. 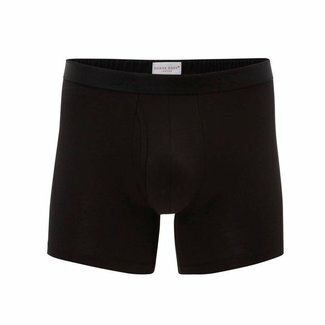 The choice of material and the quality of the finish make the difference in the large selection of men's underwear. 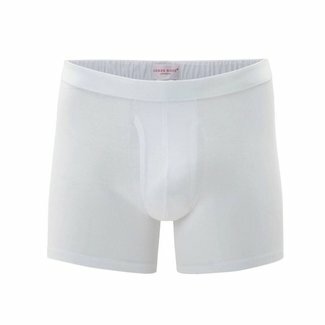 Men's cotton underwear has the highest comfort. Underwear is worn directly on the skin but you do not want to feel it. It should function as a second skin. To achieve this, underwear must be made of a breathable material. The code word is cotton. For optimal comfort, choose men's underwear made of cotton. Cotton is a natural product, a vegetal fibre with many positive qualities. The material breathes and easily absorbs up to 20% of its own weight of moisture. Unnecessary heat, in contrast to synthetic materials, is led outside in the form of water vapour. The men's underwear from Derek Rose is made of Pima cotton combined with a touch of stretch. Pima cotton is one of the strongest but also one of the softest types of cotton in existence. In addition, this type of cotton has a subtle shine. The small proportion of stretch serves to maintain the right fit. Smooth boxer shorts for men from Pima cotton have a very high wearing comfort. Why are Derek Rose boxers, in particular, the best boxer shorts? Besides the fact that this gentleman's underwear with a fly is made of the best cotton, the design of the elastic band also takes into account. The elastic band of the boxer is trimmed with fabric on the inside, this is done to ensure the softness on the skin. With underwear, people often only think of underpants. However, men's underwear is a broader concept and the undershirt for men also falls under this term. One of the reasons to wear a shirt is to prevent sweat stains in your shirt. It is also more comfortable on the cool days to wear a shirt under your shirt or sweater. 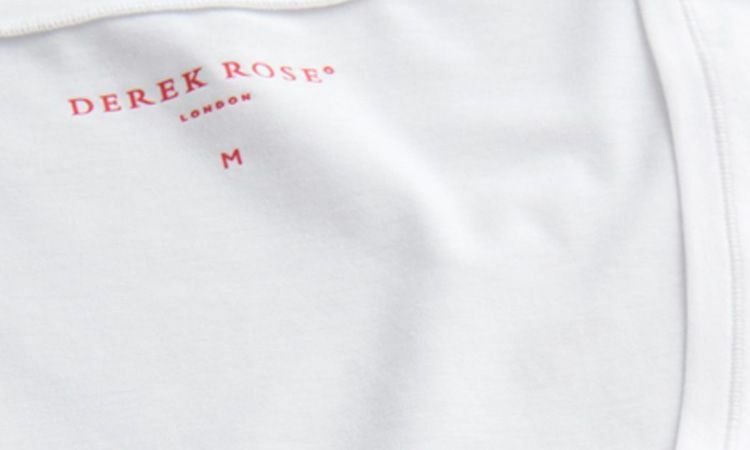 In our collection, you will find the Derek Rose T-shirt Jack, a white men's undershirt with a deep v-neck so that the collar does not rise above your shirt or sweater. Underwear should form a good basis for the rest of your outfit. Every man should have a pair of good boxer shorts and undershirts in his closet. The best underwear for men can be found here online. Do you have questions? Then contact the Quality Shop's customer service.